This is a very popular place for almost all photographers to visit. 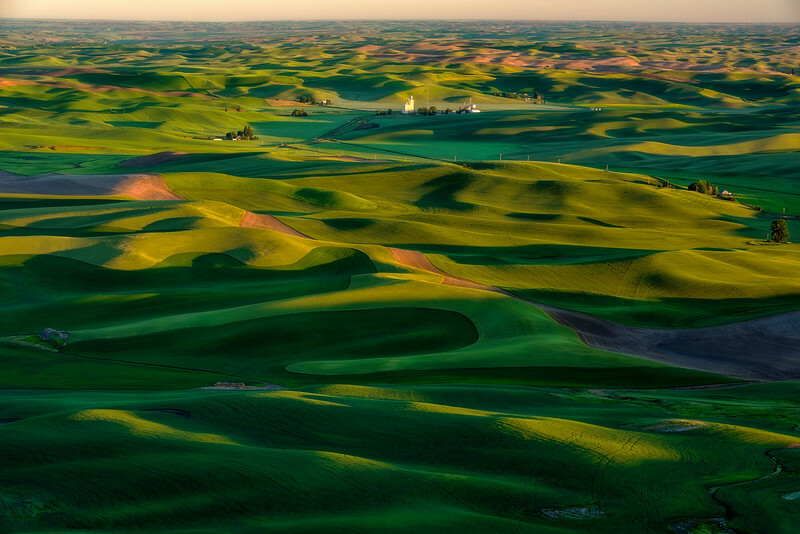 The rolling hills in the Palouse country in the early morning light, are filled with texture, shadows, and hues of green. I was taken by the stark white grain elevators. If you are ever in Eastern Washington stop by Steptoe Butte, it will not disappoint.